Aluminium – arguably the world’s most versatile metal. The ore bauxite is the main source of the metal, taking its name from the southern France village of Les Baux where it was first found to contain aluminium in the 1820s. It is sometimes claimed that aluminium as we know it is relatively new. But using aluminium compounds is said to date back to 5300 BC when Persian potters made cooking vessels from clay made up of aluminium silicates. Compounds containing aluminium are also believed to have been used as cosmetics and dyes for fabrics. 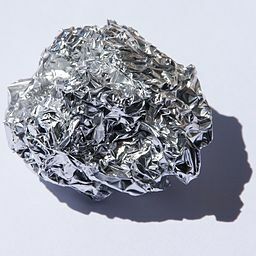 Aluminium is widely used for a number of purposes, one of the most common being packaging – typically foil containers, drinks cans and bottle tops. Aluminium can be used to keep the food and drink clean and prevent any contamination from outside sources. As aluminium has an unsurpassable strength to weight ratio it is ideal for the transport industry. With it being so lightweight, less energy is needed to propel an aluminium vehicle than one made from a metal like steel, which is heavier. Aluminium is not as strong as other metals but its alloys beef up its structure to provide more strength. Cars, boats and trains benefit from the light weight, which lends itself to increased fuel efficiency, but planes are the biggest beneficiaries. Aluminium makes up eight-tenths of the unladen weight of modern aircraft and because the metal has good anti-corrosive properties planes do not have to be painted, reducing the weight by hundreds of pounds. Since the end of the Second World War aluminium has been used to replace copper in high voltage power lines. With copper being heavier the structures need to support the wires were more expensive than those used for aluminium. So despite aluminium having lower conductivity and electricity being wasted a vast amount of money is saved. Aluminium is also easier to draw into power line wires and thanks to its anti-corrosive properties it fits the bill perfectly for the distribution of electricity over long distances. Aluminium has other electrical uses in satellite dishes and TV aerials. Aluminium is put to good use in the building trade. Its light weight and resistance to corrosion make aluminium useful for roofing, cladding, skylights, gutters and door frames. Cladding insulated with aluminium provides the bonus of keeping house cool in summer and warm in winter. Insulated aluminium cladding is also very efficient thermally, keeping homes warm in winter and cool in summer, and one layer can do the job of four inches of brick. The metal is also very malleable and it can be moulded into various shapes to suit building needs. Domestically aluminium is used to make kitchen utensils, pans, fridges and comes in very handy for mums in the form of lightweight pushchairs like micralite pushchairs. A host of wonderful micralite pushchairs are available from the excellent Baby-Pages online store. When Would Your Business Need To Rent Equipment?